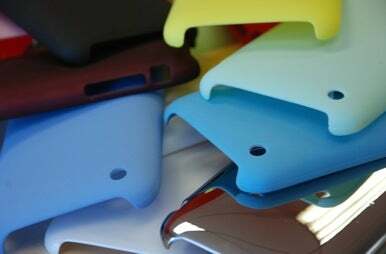 Since the iPhone 4’s unveiling earlier this week, a feeding frenzy has commenced, with accessory makers rushing to get their iPhone 4 cases on the market. One of the latest offerings comes from Hard Candy Cases, which is offering a slick line of stylish cases for pre-order. The new cases, all of which are made of lightweight polycarbonate, are available in three models: Superlight, Bubble Slider, and Candy Slider. The Superlight cases have a sleek, flat design aimed to complements the angular styling of the iPhone 4. Hard Candy Cases offers two lines of Superlight cases: the Beach Collection and Summertime Collection. Each collection consists of its own variety of colors related to their respective theme. The Bubble Slider features nifty 3D bubble effects and is designed to easily slide on and off of your iPhone. The two Bubble Slider models available are the Soft Touch, which has a soft exterior texture, and the Chrome, which has a shiny metallic exterior. Finally, there's the Candy Slider, which has the soft exterior and slide-on design of the Bubble Sliders without the bubbly patterns. All of the Hard Candy iPhone 4 cases cost $35 and will begin shipping June 15—the same day Apple starts taking pre-orders for its latest phone.